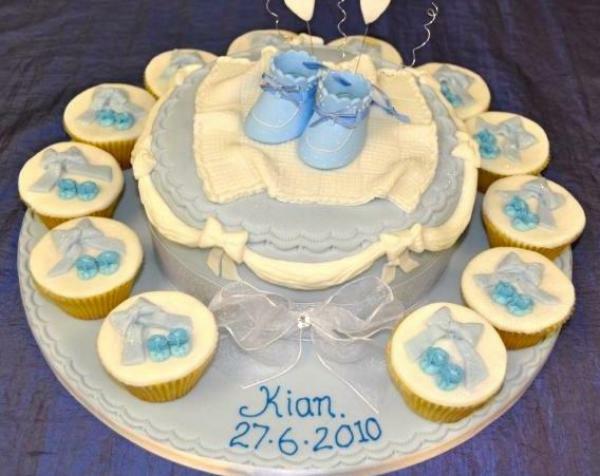 These cakes are my personal favourite cakes to make and design. 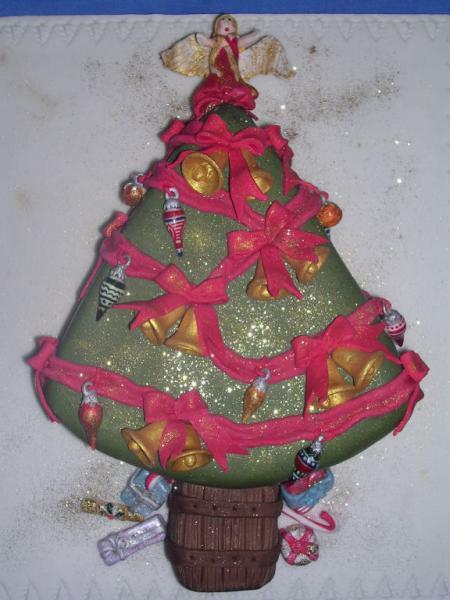 What a lovely time for you and your family. 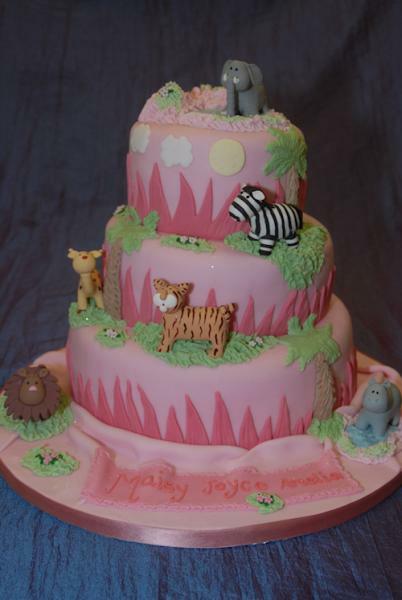 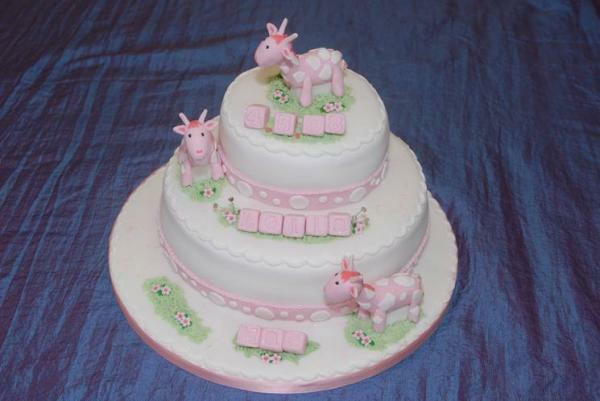 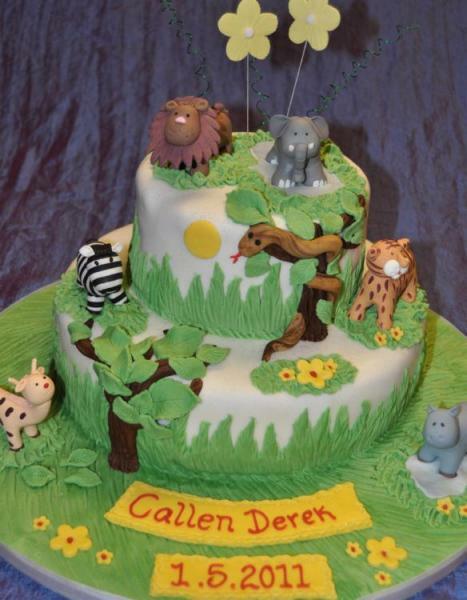 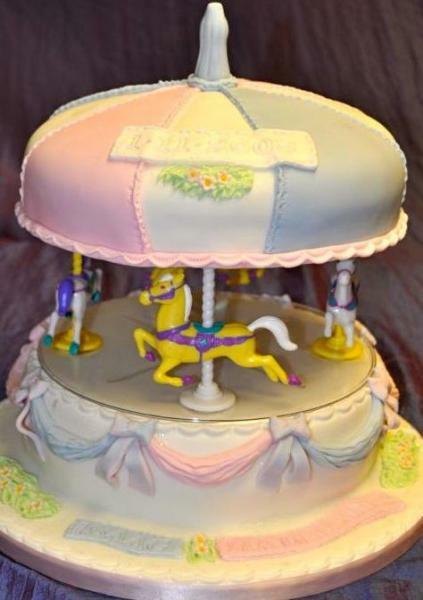 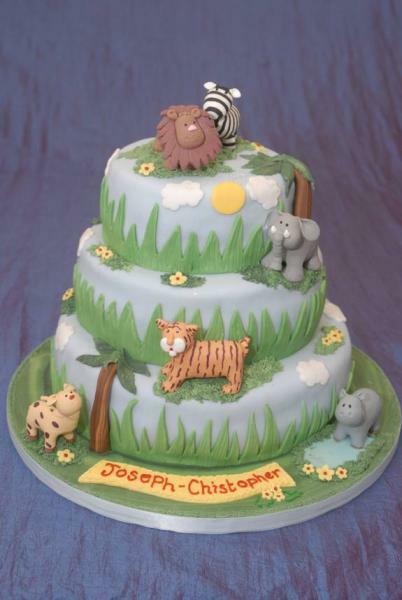 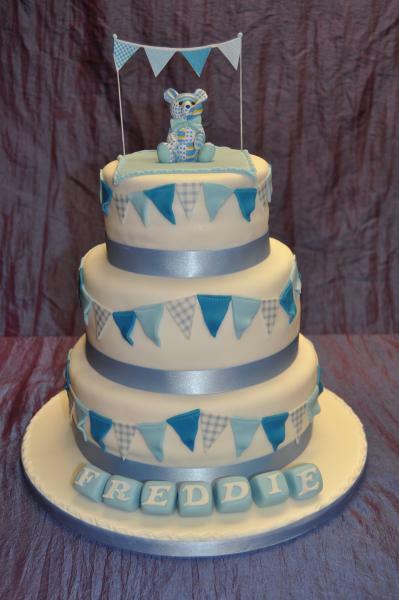 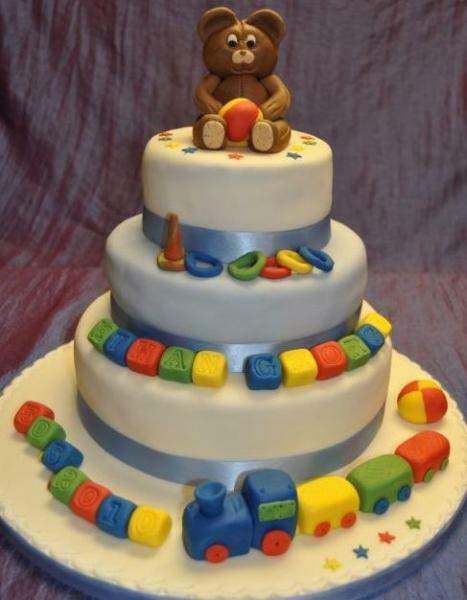 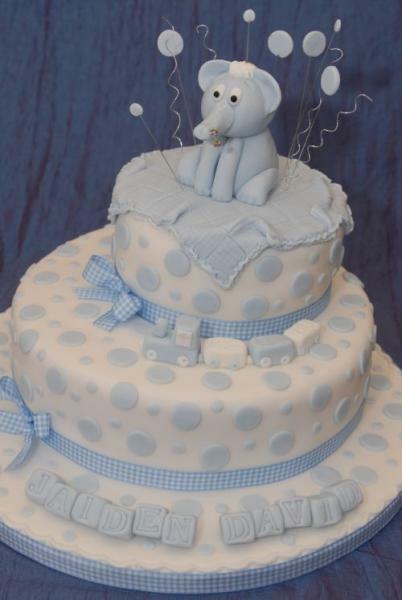 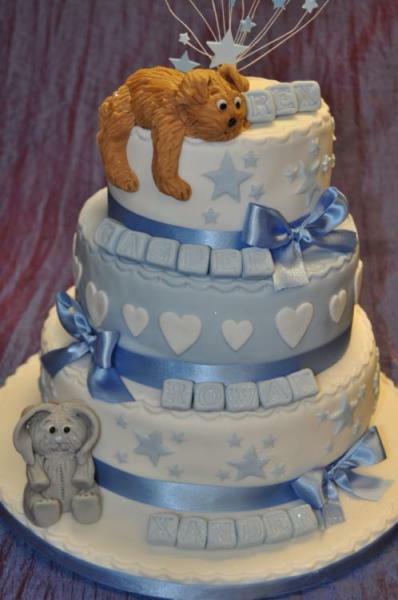 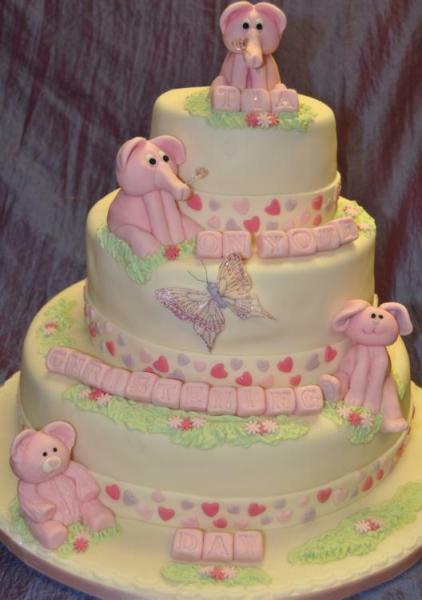 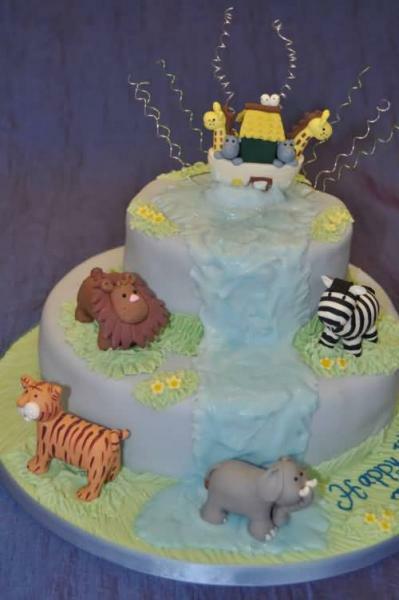 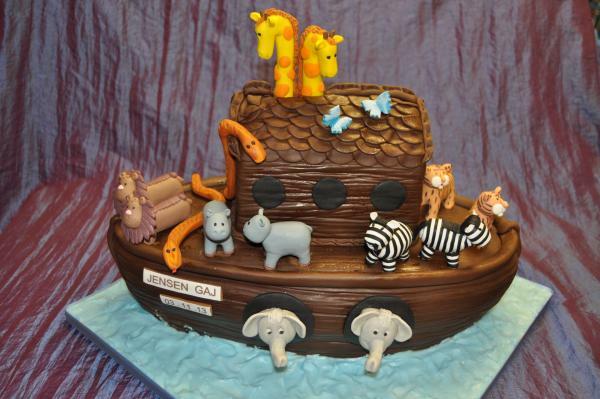 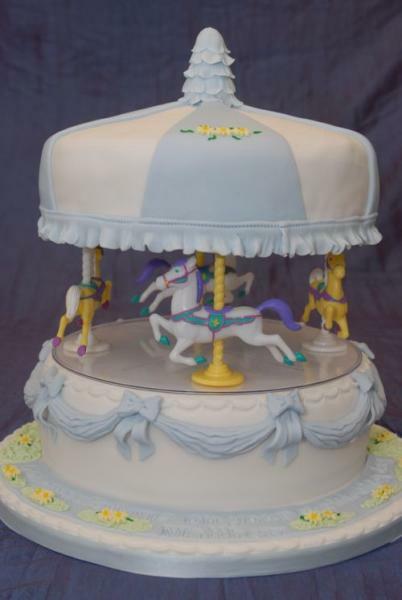 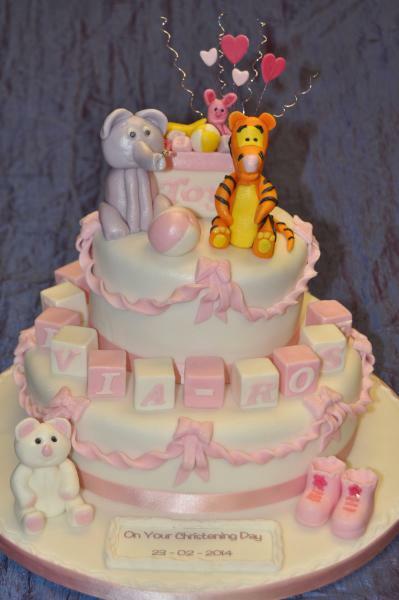 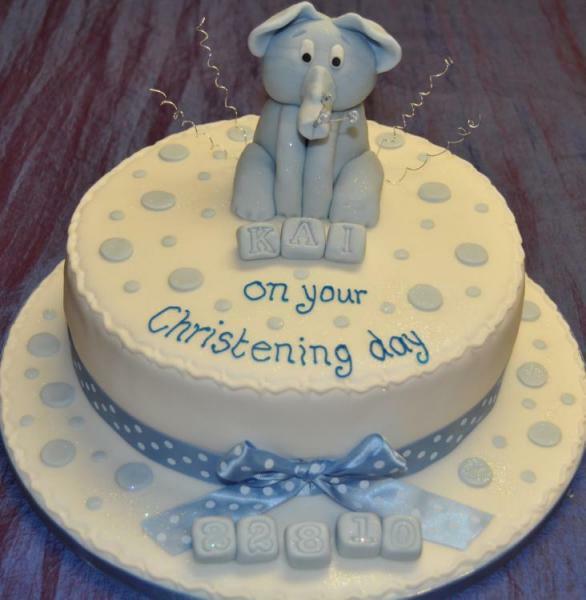 Lots of designs are suitable for Christenings from Teddy bears, elephants, building blocks all the way to fun carousels and animal themes. 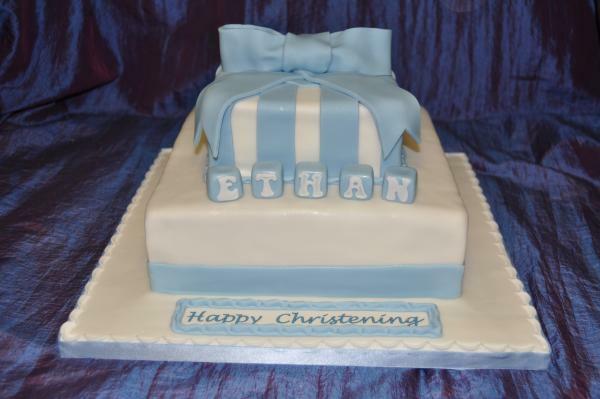 The more traditional designs are also still very popular. 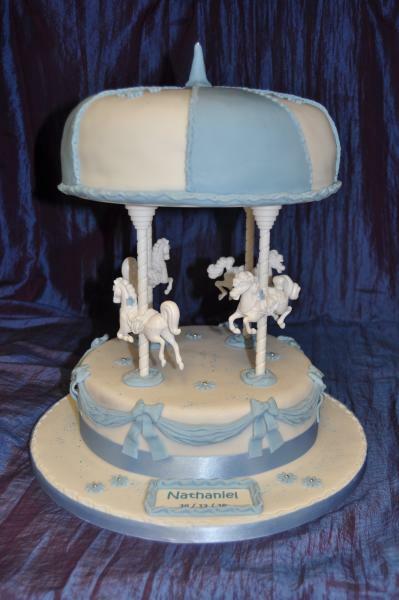 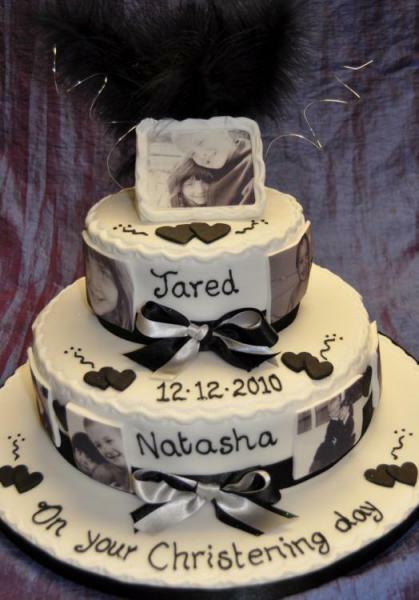 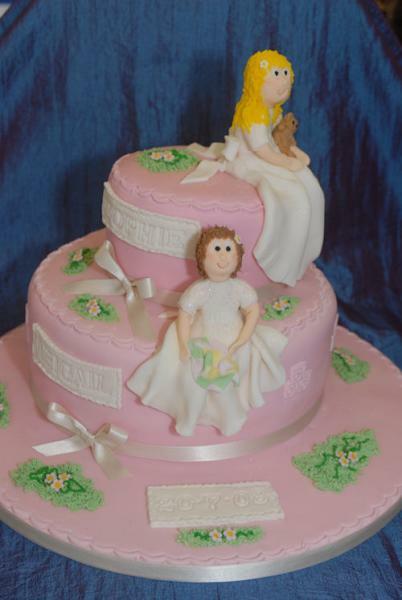 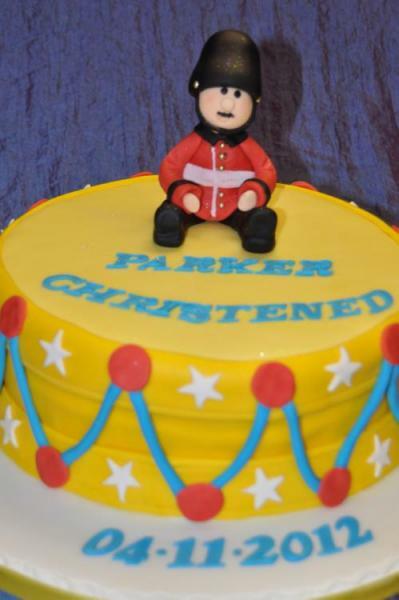 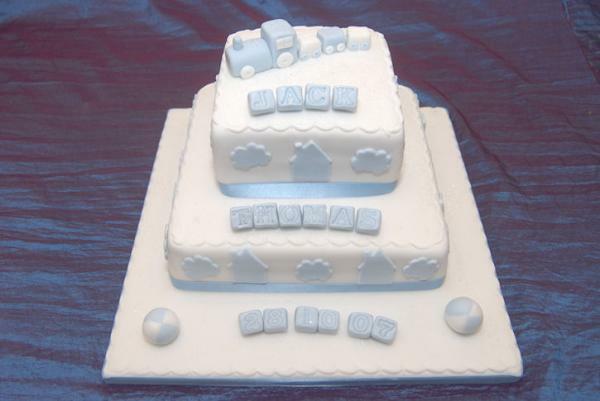 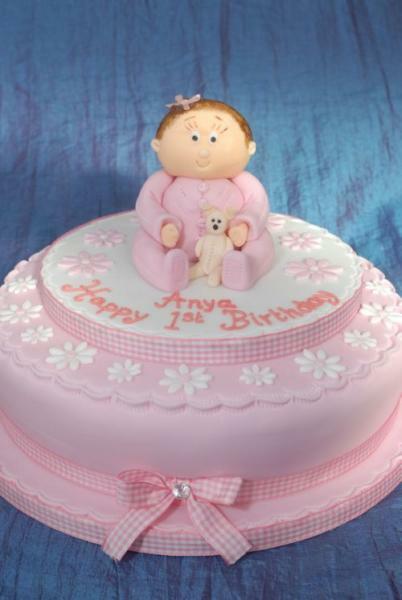 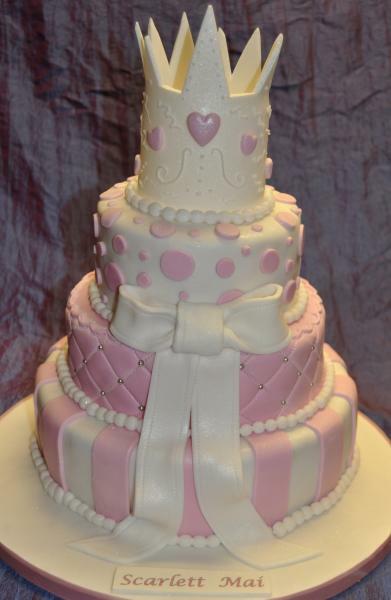 These cakes can be made in a verity of designs and cake types such as rich fruit, vanilla sponge or chocolate, the choice is yours. 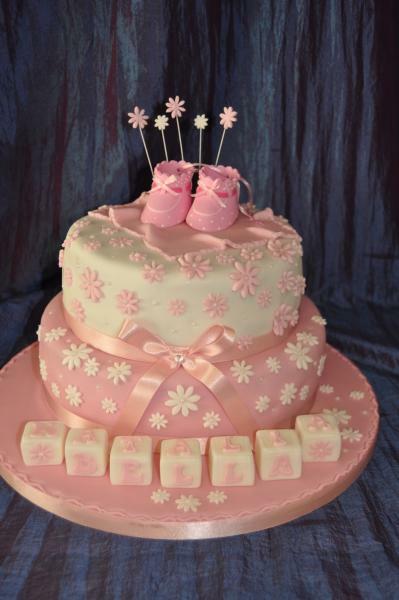 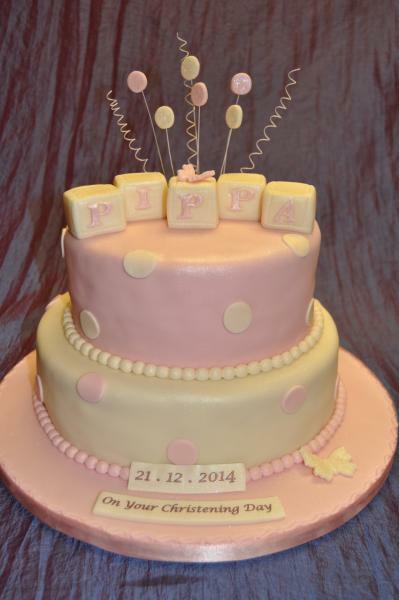 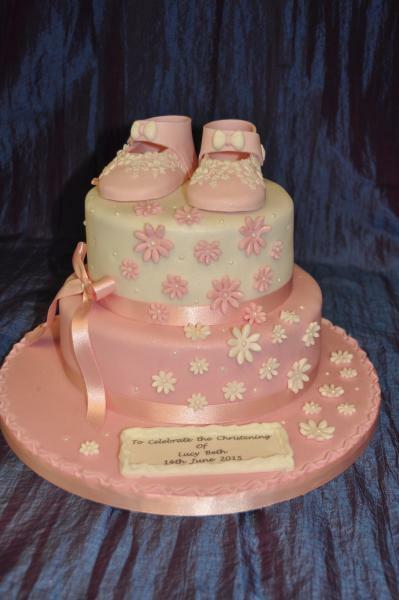 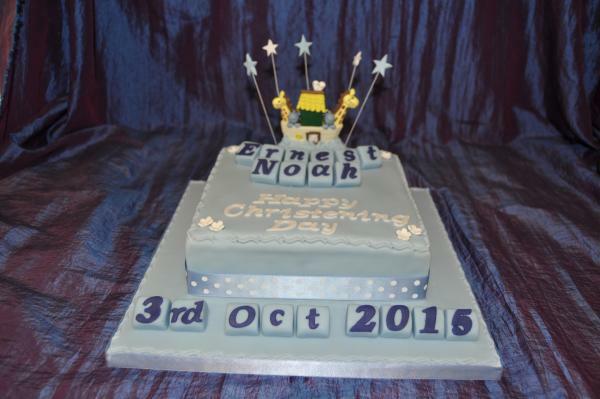 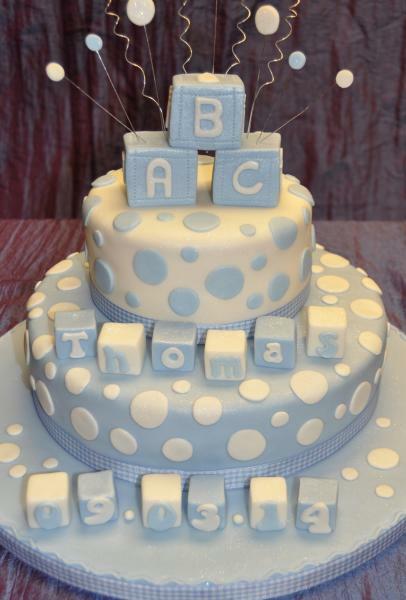 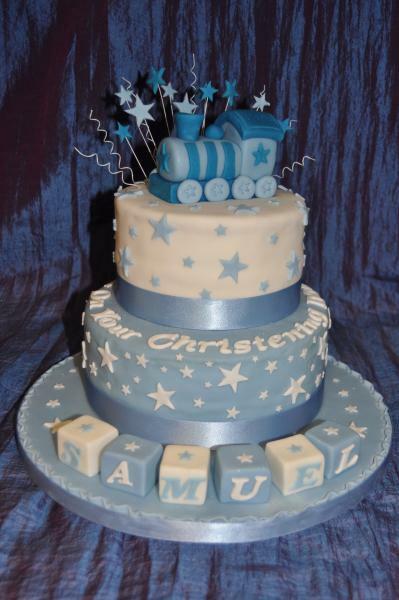 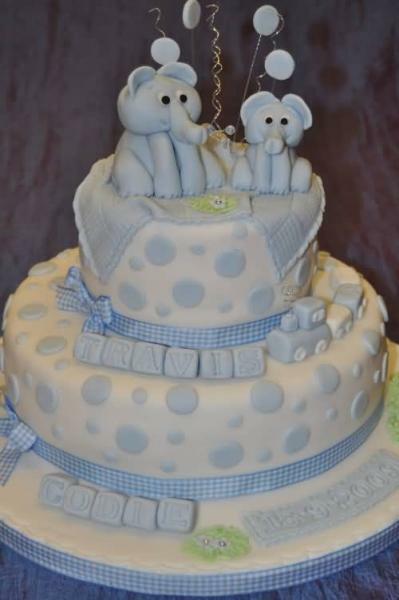 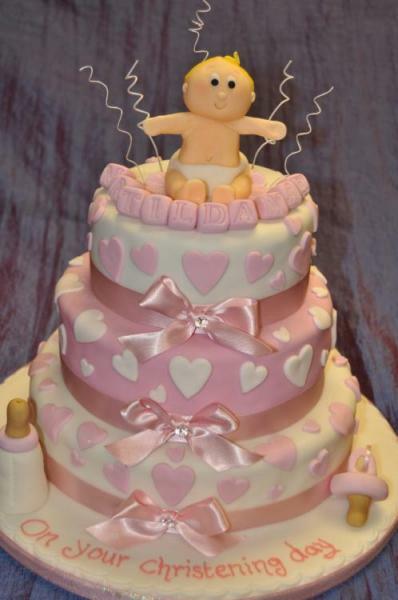 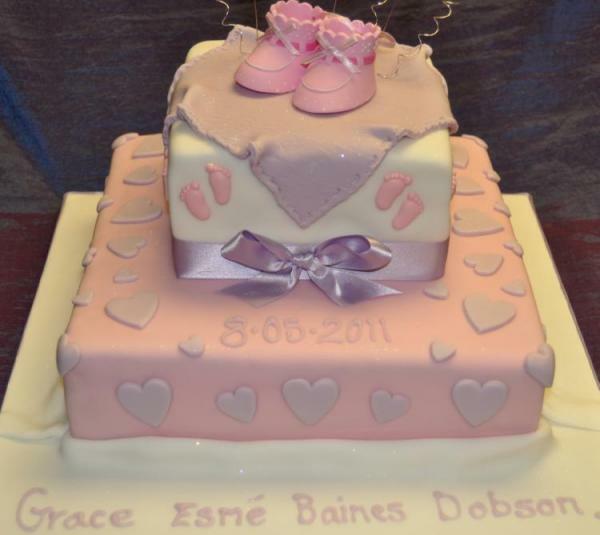 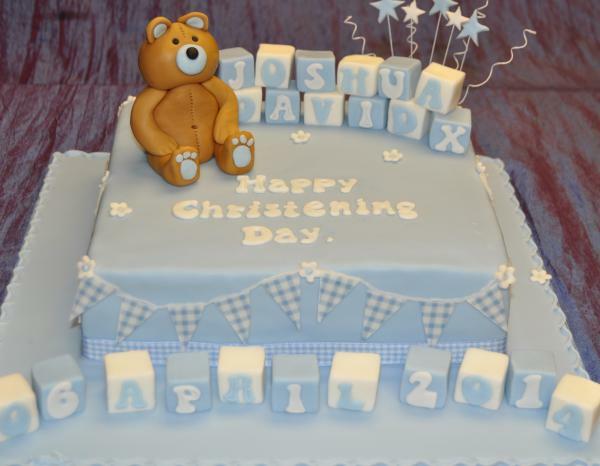 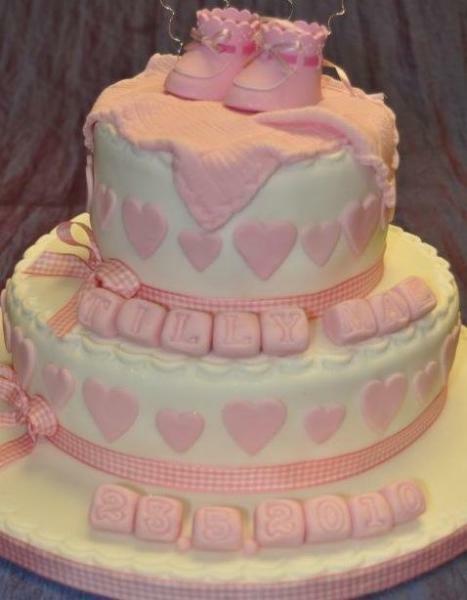 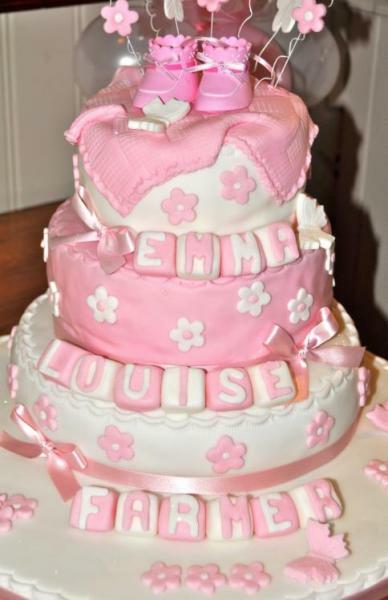 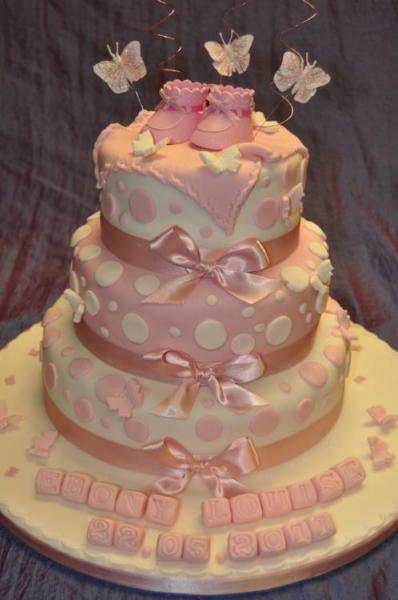 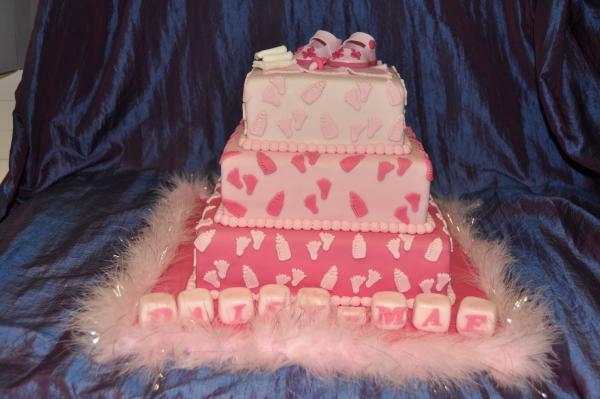 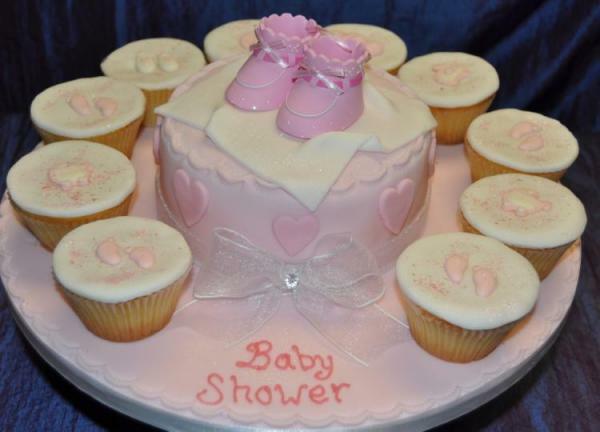 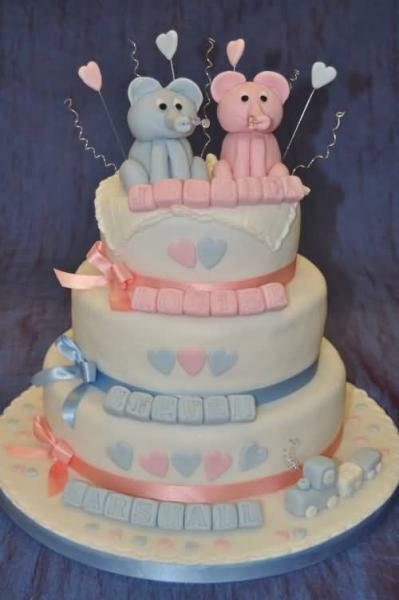 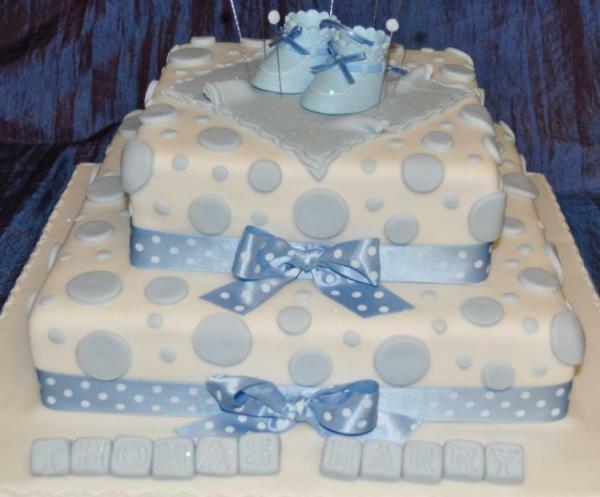 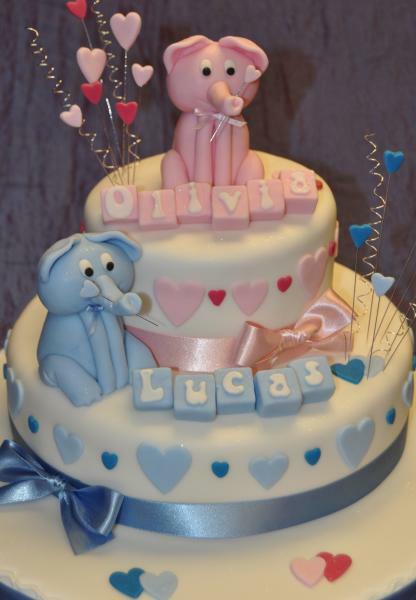 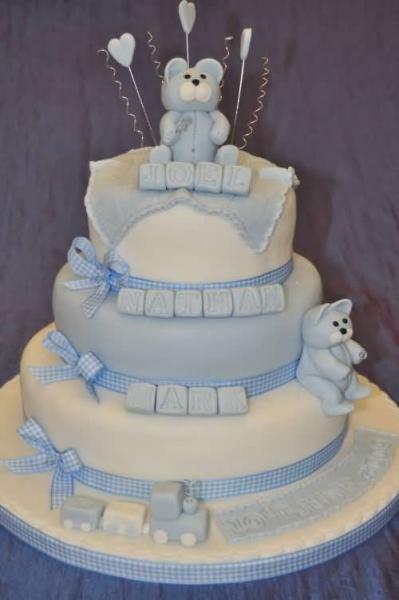 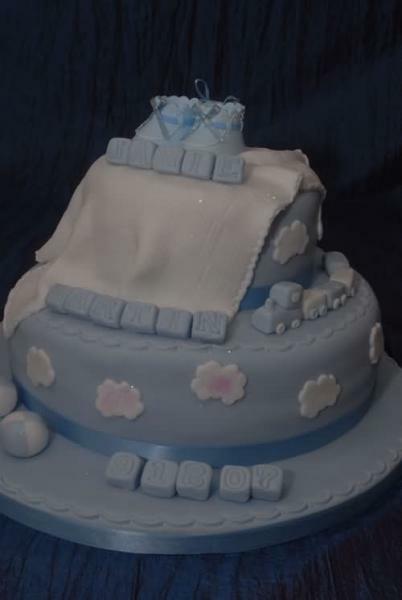 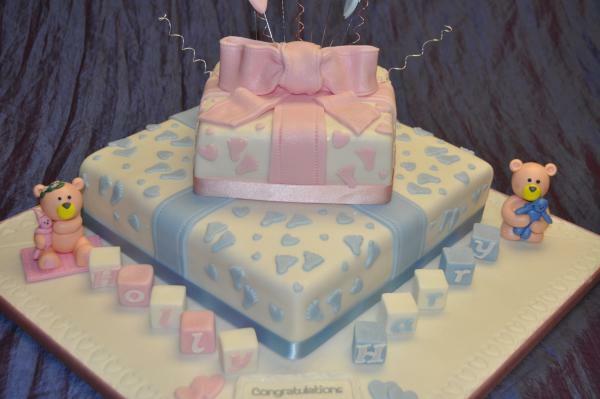 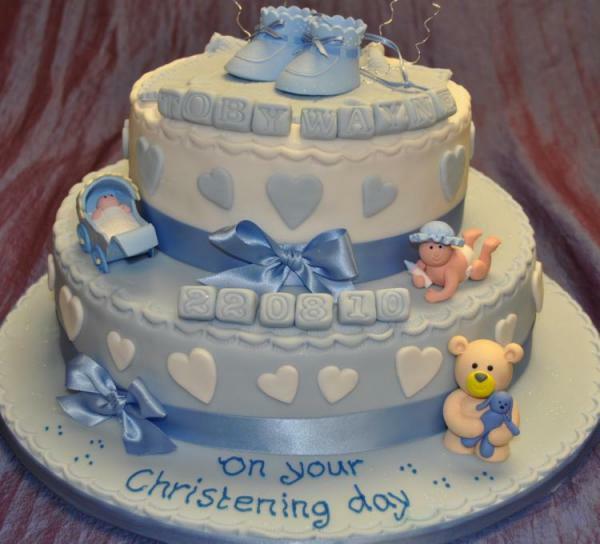 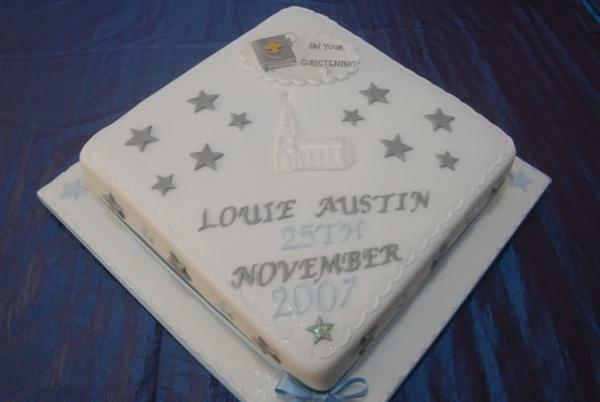 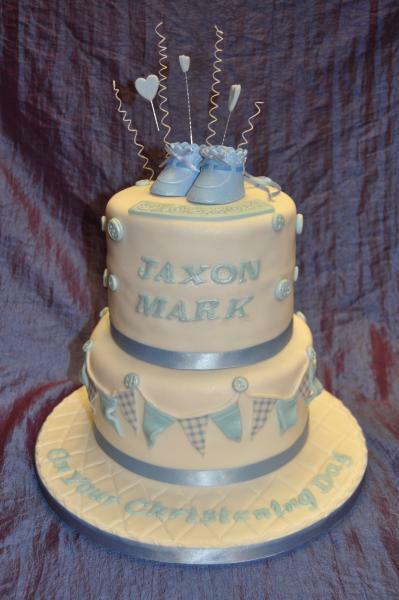 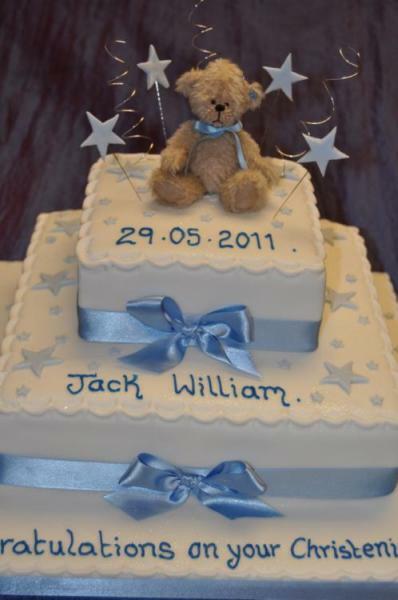 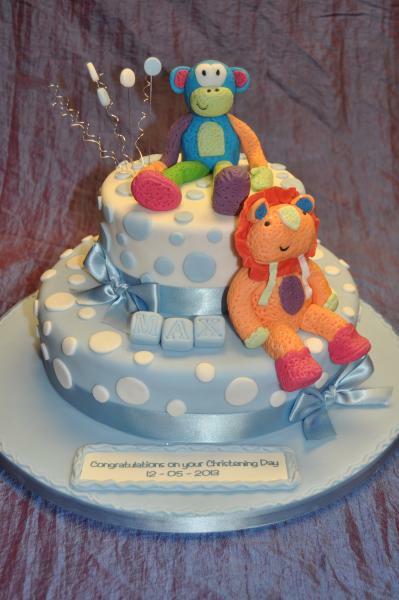 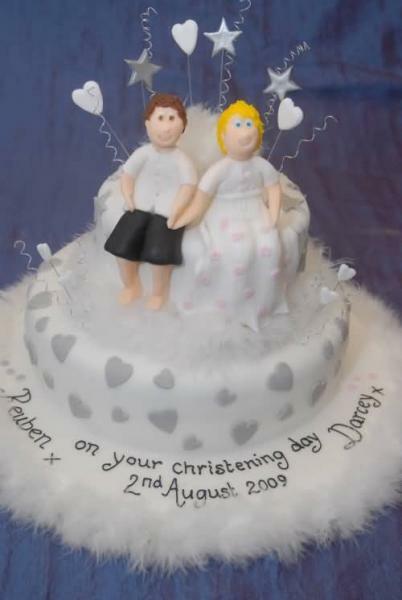 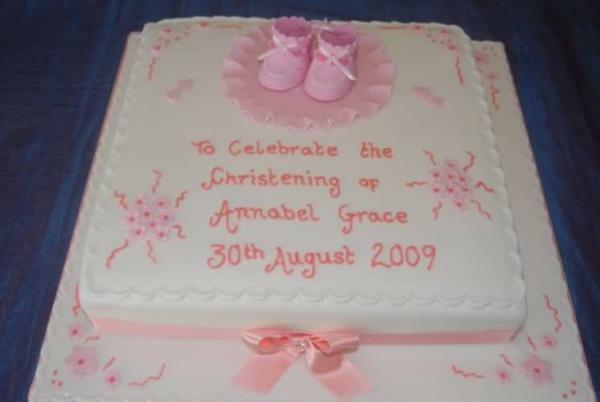 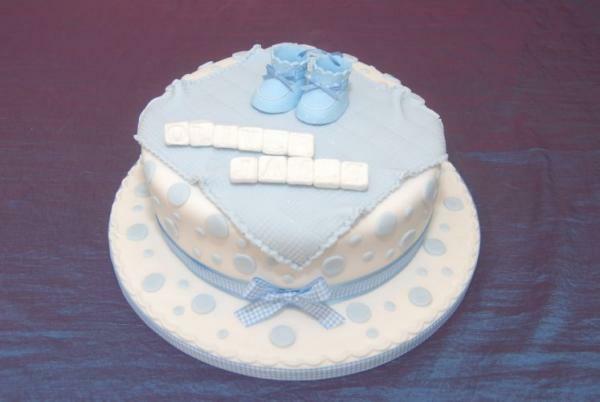 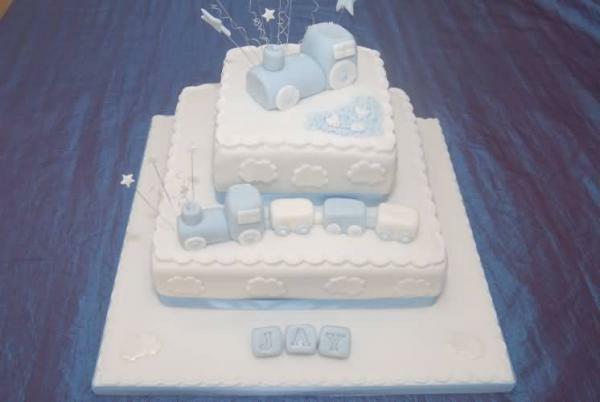 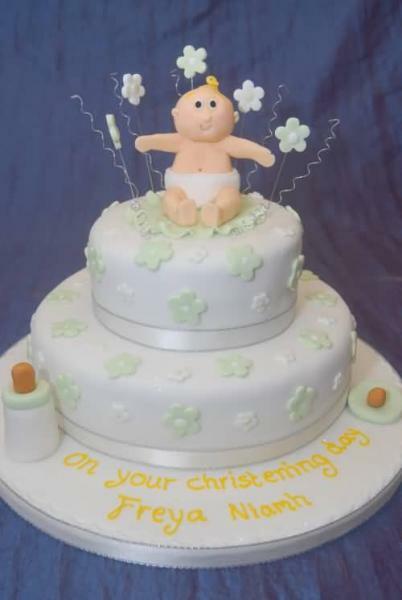 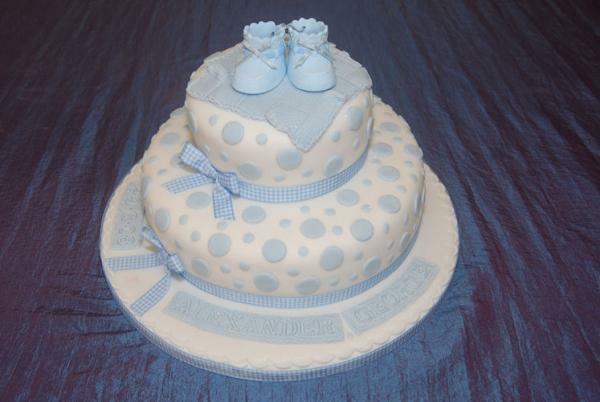 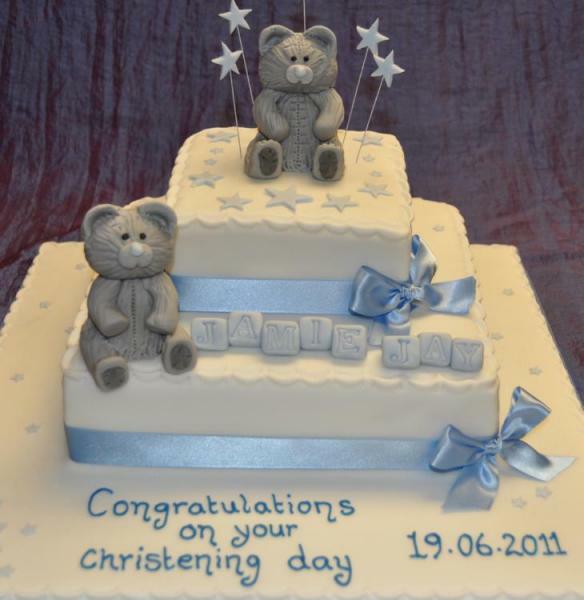 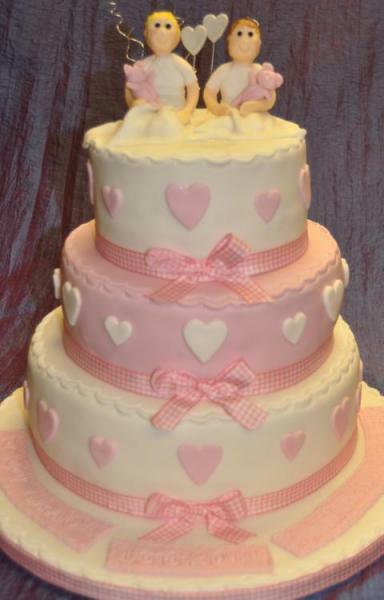 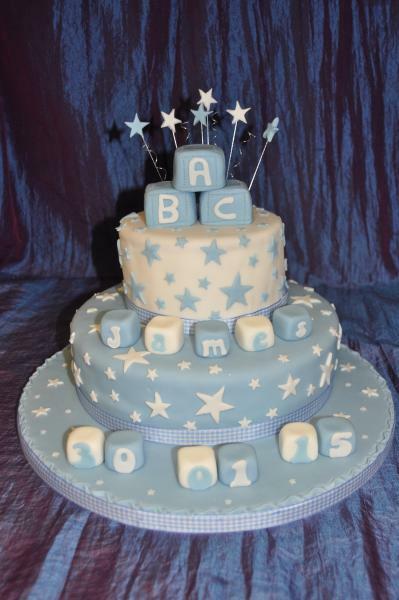 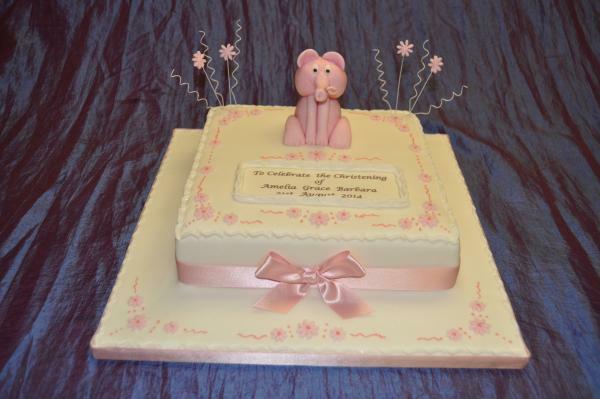 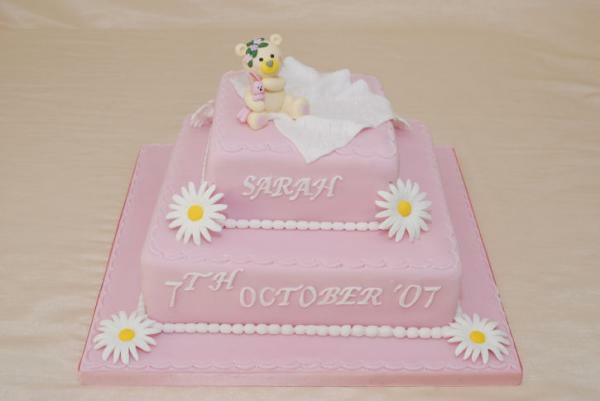 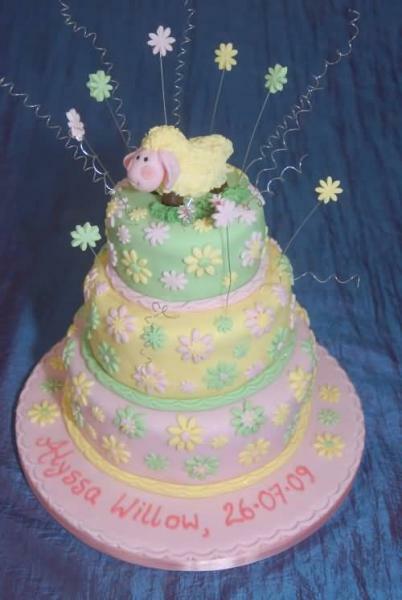 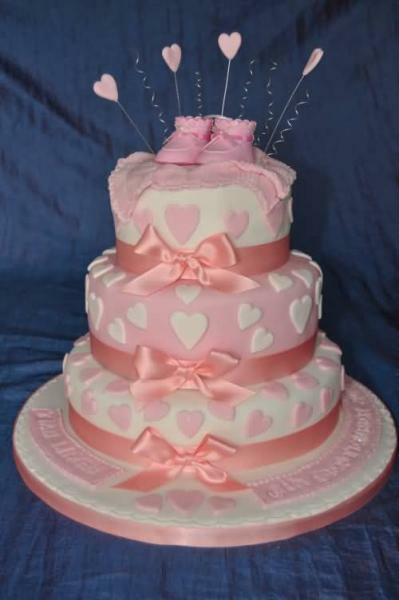 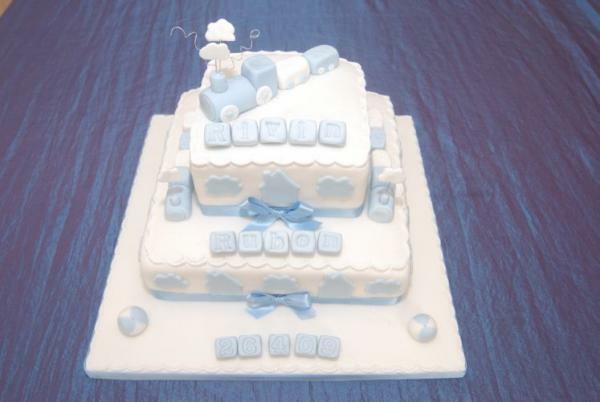 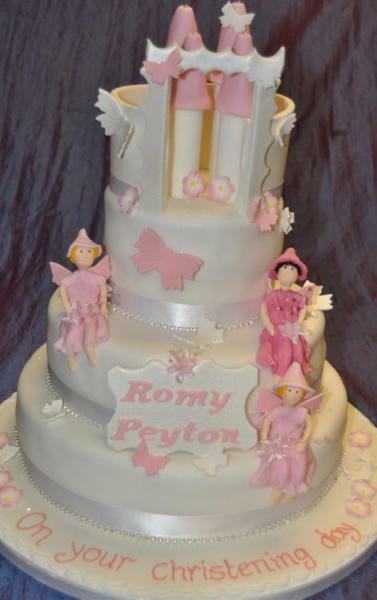 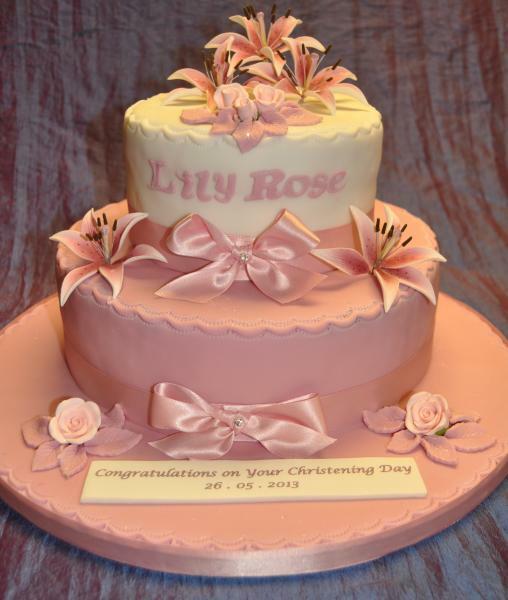 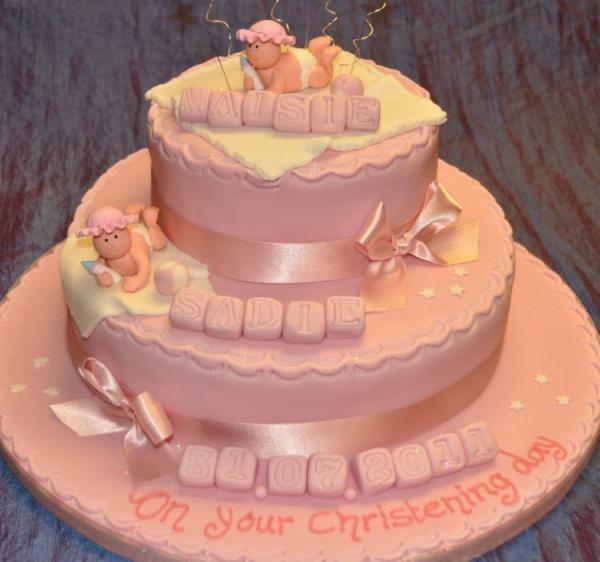 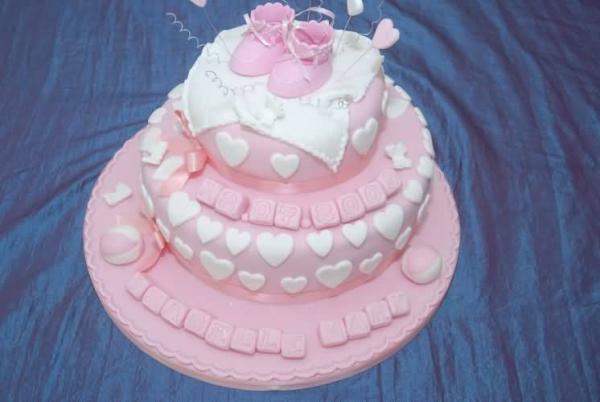 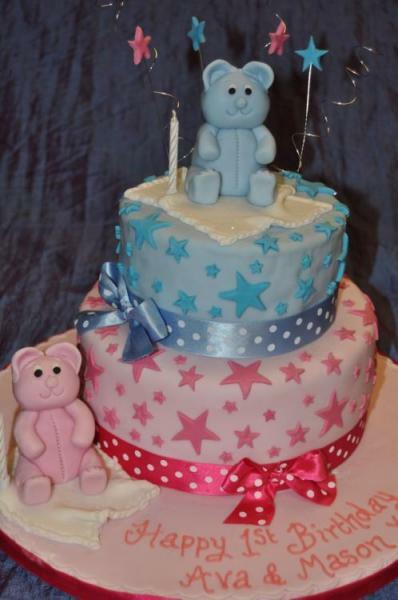 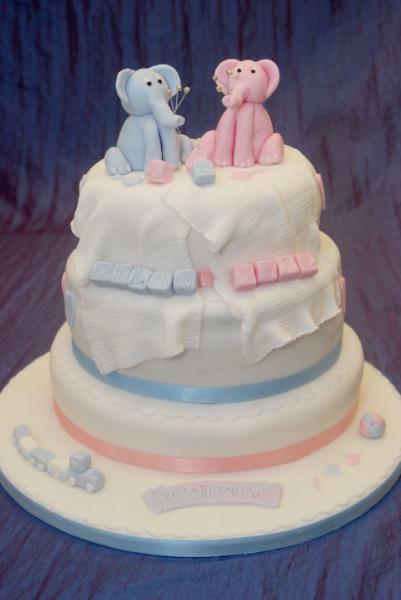 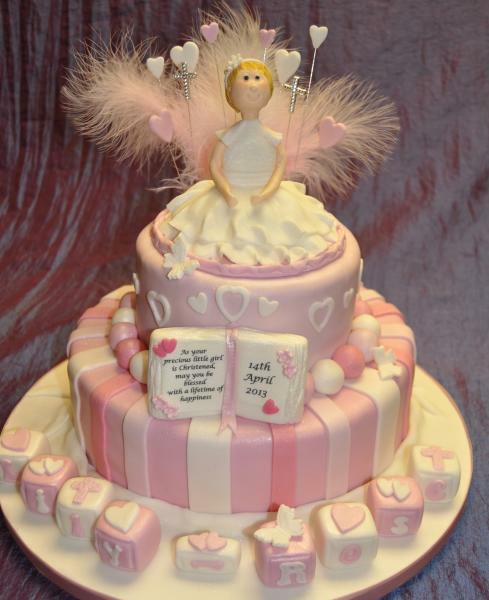 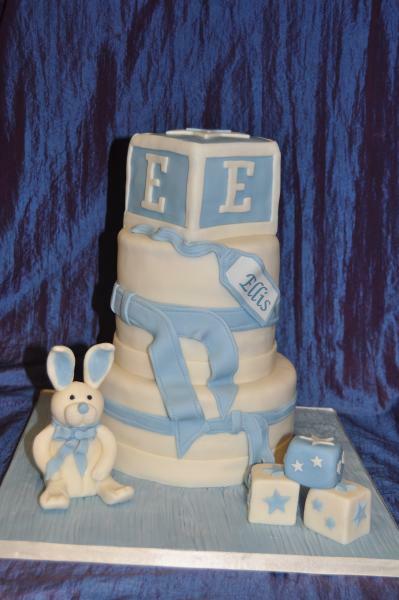 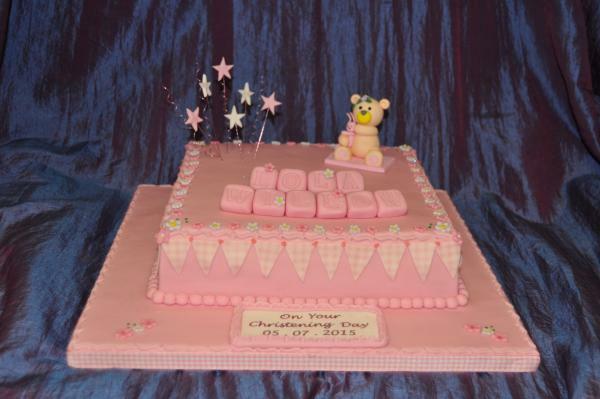 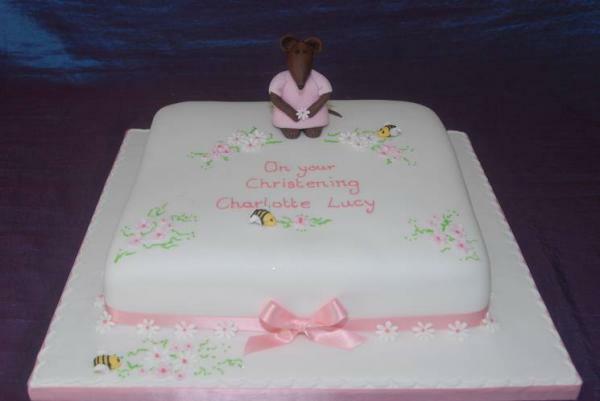 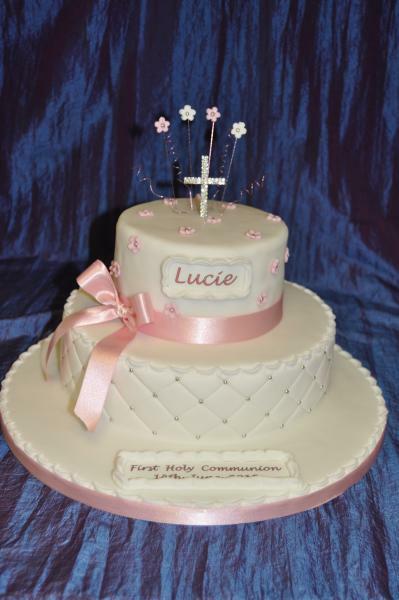 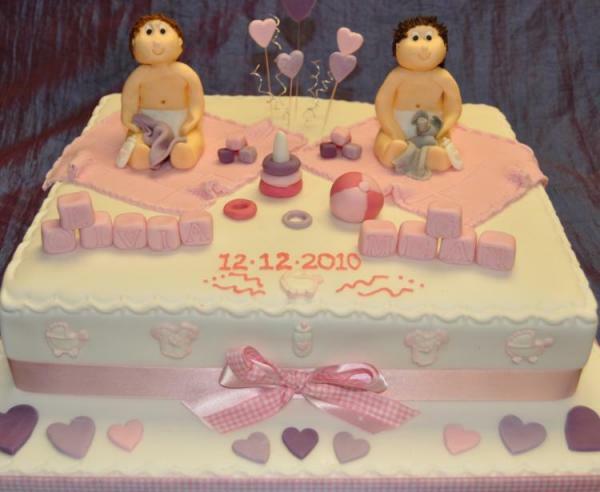 Lots of christening cakes are also made that have a removable keepsake such as a pair of coloured booties which can have the date of the christening added. 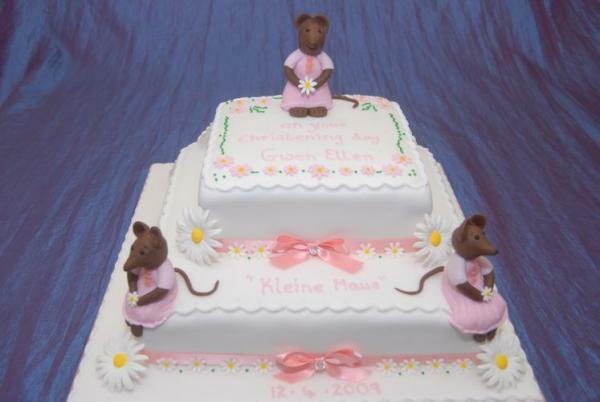 This gives you something to remind you of this special day.